ex-DIV's members Chisa and Shogo revealed their new website and first concerts as session band. It has been a week since Visual Kei band DIV disbanded due to the departure of bassist Chobi and drummer Satoshi. 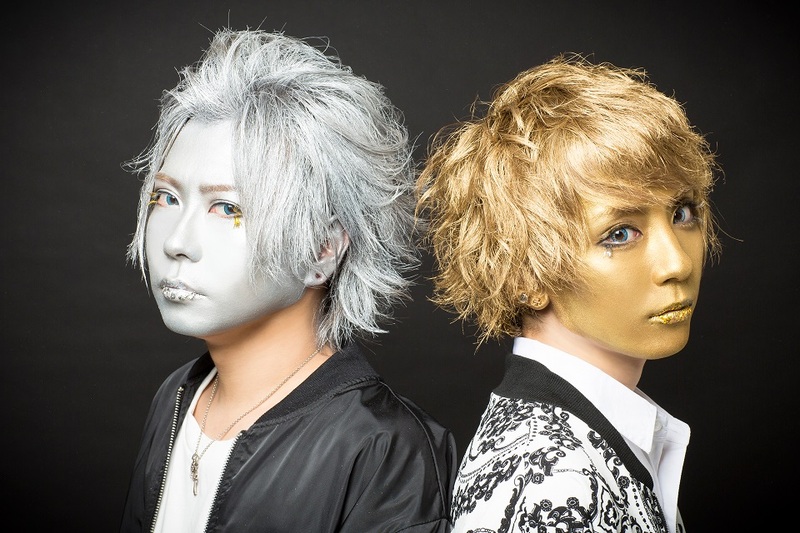 Now the other two members, vocalist Chisa and guitarist Shogo, revealed that they will perform again together. Their new website is simply called "Chisa Shogo" and the duo is described as "session band" which means that it's not an official new band yet. But the members uploaded a new photoshoot as well as live-information. The duo's first two lives will be held on November 15th and 30th at Ikebukuro Black Hole in Tokyo and there will be a short "Chisa & Shogo Session Matsuri"-tour with a live in Nagoya, Osaka and Tokyo in December. Support members are ex-ViViD's bassist MTR and abstracts' drummer Hikari. I&apos;m sorry, but they look like they ran into a wall that said "wet paint"
Sounds cool, but why are they lookking that stupid?